Did you know that the average price of the last 10 Grand National winners is a smidgeon over 33/1? William Hill are now paying six places each-way online in the Grand National and this is another reason to take on this year’s short-priced favourite Tiger Roll. So which horses priced up away from the favourites in the Grand National odds are best positioned to finish among the top six at Aintree, or even better secure a slightly unexpected victory? It’s immediately clear that Ramses De Teillee is 5lb well-in to win the Grand National. David Noonan’s mount runs off 144 at Aintree, although he’s now officially rated 149 by the handicapper. This 5lb hike is down to finishing second in a recognised Grand National trial at Haydock since the revealing of the National weights. Furthermore, two starts ago over Christmas, David Pipe’s seven-year-old finished second to Elegant Escape in the Welsh Grand National at Chepstow, beaten by just over a length. Elegant Escape is now rated 11lb higher, while Ramses De Teillee runs at Aintree off the same mark. 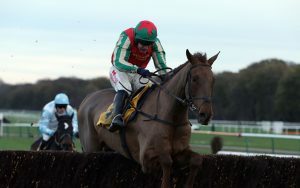 Up For Review will certainly be one of the least experienced chasers lining up at Aintree, having only had seven chase starts in his career to date. However, the modifications made to the National fences ahead of the 2013 edition of the race has almost certainly made victory more achievable for both younger and inexperienced horses. Yet, on only his third chase start, Up For Review finished within 16 lengths of Cheltenham Gold Cup winner Al Boum Photo in Grade 1 company, which suggests connections believe he can mix it at the highest level. Up For Review runs off 146 at Aintree, which is not only 2lb below his current hurdles mark, but also the same rating as when finishing an eye-catching third for trainer Willie Mullins in the well-regarded trial the Thyestes Chase back in February. Few can quibble with the Grand National resume of Vieux Lion Rouge and he will almost certainly give any backers a run for their money. After all, he finished seventh in 2016 off 146, sixth off 149 in 2017 and then ninth last year off 150. He has always completed in six chase starts at Aintree, which includes a notable second in the Becher Chase just before Christmas. The 10-year-old is back down to 146 this year and must be a contender to challenge for a top-six finish again.